We have another selection of holiday cottages from that giant of self-catering holiday cottage providers, "Cottages 4 You". The cottages shown below were all first featured by us in the week of 6th December 2013. The cottages can be found in various counties around the UK, with Somerset, Norfolk, Devon, Kirkcudbrightshire, North Humberside, Derbyshire, Fife, Cumbria, Dyfed, Argyll and Cornwall all getting a mention. As always at this juncture, I like to pick a few cottages for an extra special mention. This week there are two cottages to talk about: "Candy Cottage" and "Croft Cottage". 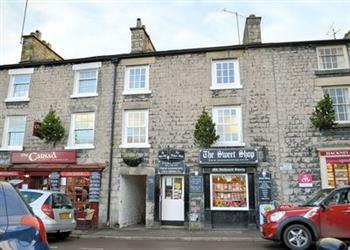 The first one on that list is Candy Cottage in Kirkby Lonsdale, Cumbria. A holiday apartment above a sweetshop - hence the name "Candy Cottage" - this accommodation will sleep 4 people in 2 bedrooms. A short walk from the pub, restaurant and shops; Candy Cottage is also equidistant from the Lake District and Yorkshire Dales. 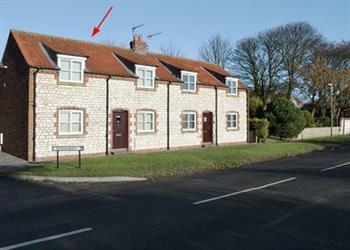 And the second cottage is Croft Cottage in Flamborough near Bridlington. Croft Cottage sleeps 6 people, and is very close to the coast. For coastal walks in North Yorkshire, a holiday at Croft Cottage could well be the one for you.